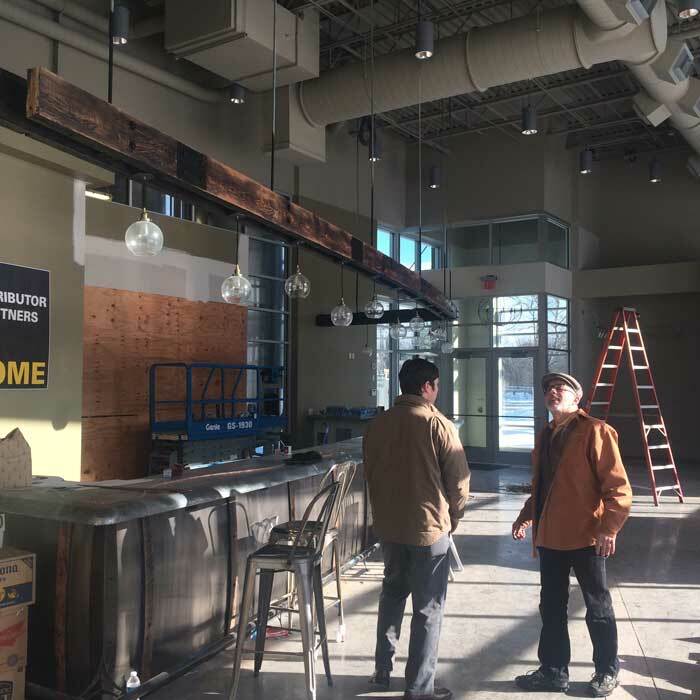 Arcadia Ales’ new 30,000-square-foot building at 701 E. Michigan Ave., along the Kalamazoo River features a brewpub, smoked barbecue, brewing and packaging facility as well as an Interactive Conference Room designed and installed by Cornerstone Technologies. Cornerstone Technologies met with Arcadia Ales owner, Tim Suprise, in February during construction to conceptualize the conference room. 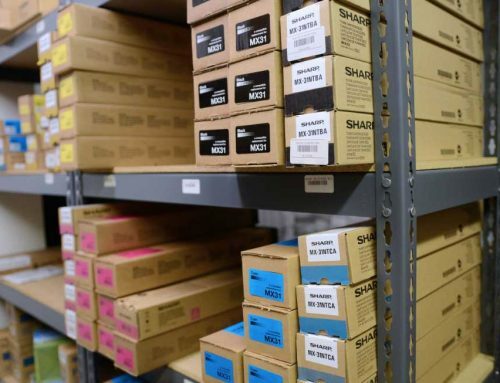 “We wanted to get an understanding of how Arcadia wanted to use the room and what type of Audio/Visual needs they will have,” said Greg Vincent, Sales Consultant at Cornerstone Technologies. The room is designed to be Arcadia’s primary conference room where they will conduct everyday meetings, video-conferences with outside sales representatives, or watch the ball game after work. The conference room will also be available to rent for private meetings making ease of access and simplicity a key in selecting the audio/visual components. 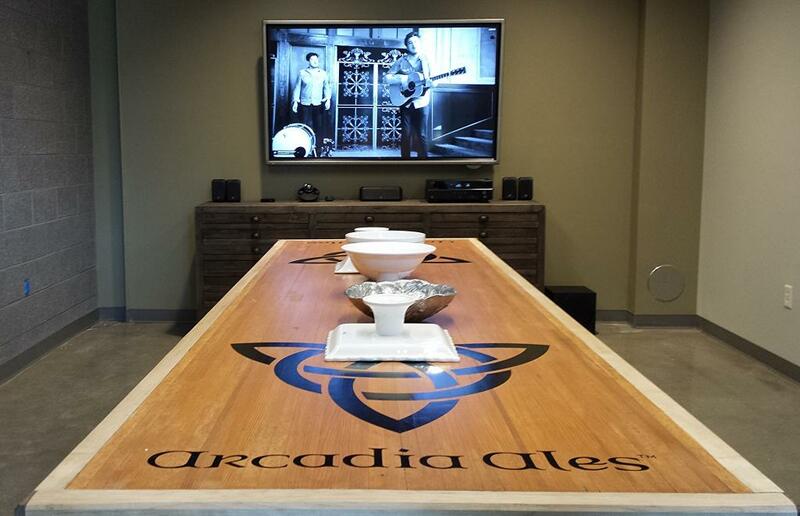 The conference room was already constructed and Mardy Suprise, Co-Owner of Arcadia Ales, had selected the conference table, re-purposed from a bowling lane, and a credenza as the focal point for the room. The next step was to design the audio visual setup and how all of the devices would be wired together without revealing cables. 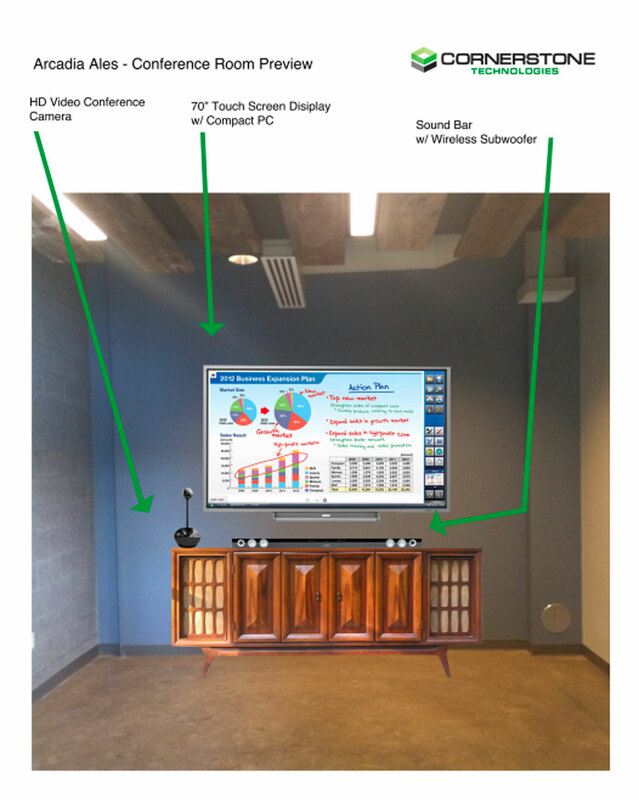 Quick Interactivity – Cornerstone installed a Sharp 70″ Interactive Touch Screen Monitor with an embedded Windows 7 PC so that meetings can get quickly started without the need of connecting a laptop. Professional Mounting – A Peerless AV Tilted Wall Mount was used to help tilt the Touch Screen Monitor at a slight angle to improve access. Easy Video Conferencing – USB Web Camera with remote control to swivel and zoom connects directly with Skype to answer video calls and perform video conference with outside sales. AV Control – Surround Sound with Input Control selects up to 4 HDMI devices delivering quality video and audio. Mobile Access and Interactivity – Apple TV lets presenters duplicate their iPhone and iPad through AirPlay so that they can present without a laptop or PC. Interactive Software – Sharp Pen Software is installed on the embedded Windows 7 PC making the monitor an endless whiteboard that can annotate directly on top of any application.